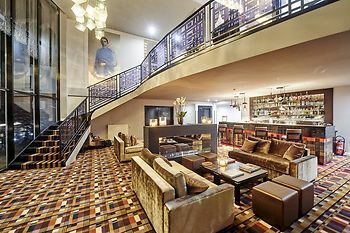 The Augustin Hotel, Brussels, Belgium - Lowest Rate Guaranteed! A stay at The Augustin places you in the heart of Brussels, within a 15-minute walk of La Grand Place and Manneken Pis Statue. This 4-star hotel is 5 mi (8 km) from Mini-Europe and 5 mi (8.1 km) from Atomium. Perfect...good location and staff was been very correct! The staff at the Hotel Floris Avenue were so friendly and welcoming. Our room was huge, with a pretty balcony overlooking the street and a good size bathroom. Buffet breakfast was great, so much choice! I would definitely stay here again. Great hotel. You get a value for your money! The neighbourhood is not that good, though the quality of the hotel is 4 star plus!! !